My kids are finally at the age where they are both interested in crafts. So I took them both to a blogging event at Michaels. 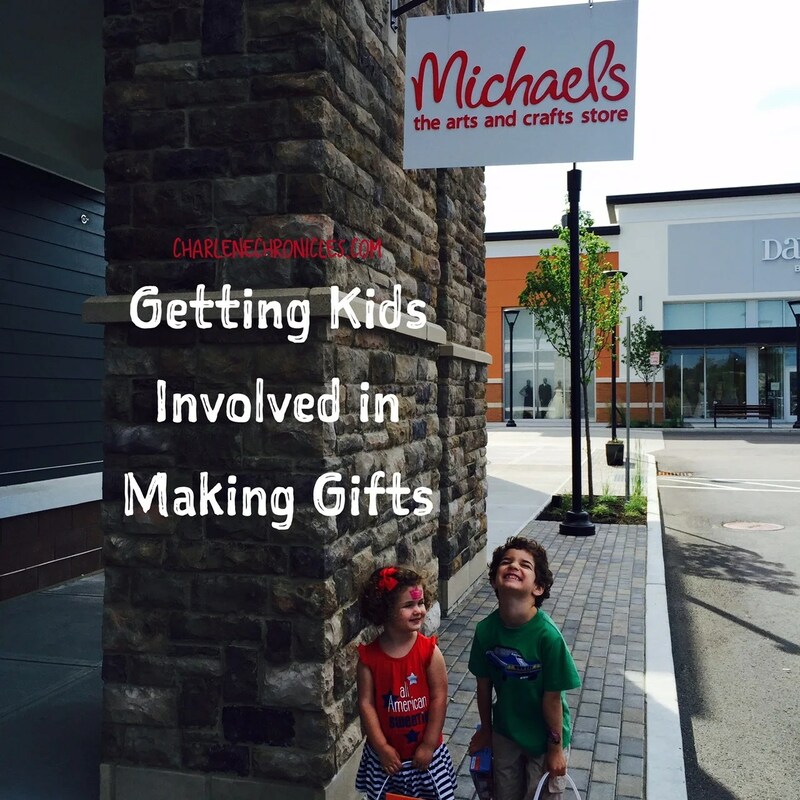 The Michaels staff set up the event just like their weekly in-store kid craft sessions. In this session, we created a fun picture frame. Of course, my kids, being 2 and 5, were more interested in making picture frames for themselves, but it is a great idea, super easy, relatively inexpensive gift, to make for Father’s Day! So here is how to make it and what you need to make it. 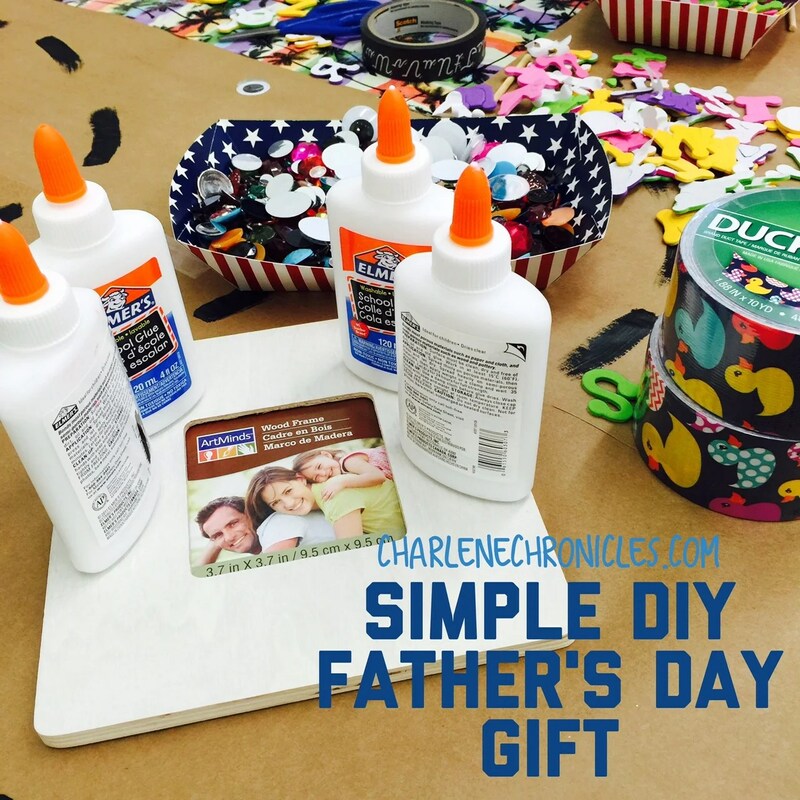 Simple DIY Father’s Day Gift Kids Can Make. Wooden Picture Frame. Michaels has a lot of wooden craft picture frames, but this one is just $4.99 and you get six of them so it is a great bargain (not even taking into account the sales and coupons Michaels has!) If you don’t need all six, put some away for a teacher’s gift or a Mother’s Day craft for later! Duct Tape (one roll or various rolls). There are a lot to chose from (printed, solid, striped, or themed) so you can pick what works for your budget. Most rolls, like these, are about $5 each and you get a good amount to use. During the year, pick up the bargains (often seasonal) and put them away for use later. Glue. Whether traditional Elmer’s Glue. Glitter glue, or stick glue, whatever works for the ages of your kids! Scissors. Kid scissors or regular, depending on your kids’ ages. Foam letters, foam shapes, animals, stickers, craft jewels, etc. Here are some ideas from the Michael’s website to get you brainstorming! Sometimes I just head to the store and see what is on sale. First, you tape the duct tape all over the wooden picture frame. There really is no ‘right’ way to do it. I just did vertical strips and overlapped them on the sides, and in the middle, did a strip sideways. But, really, anyway the kids want to do it. The kids need scissors to cut the duct tape into the pieces they want. So either have kid scissors or do it for them. Then you can put the duct tape on the frame yourself (which is what I did, and then I had them ‘help’ smooth it out), or if your kids are older, then can be self sufficient. Next, in my opinion, is the fun part. The kids can go to town decorating it. Maybe use foam letters to spell out the word Dad, or #1. Or use stickers, jewels or foam animals. However they want. My kiddos stuck everything and everything on theirs so there was no rhyme or reason, but totally cute. Or they can have a themed photo frame, like under the sea, or outdoors. Lastly, get out your camera or smartphone and take a picture with your child with Dad. Just try to be nonchalant about it after he comes home one day after work, that sort of thing. Then get it developed or print it out at home and cut it to size. Wrap the frame and voila, a personalized frame that Dad can use at home or at the office! One of the things I find valuable is teaching my kids to use their imagination when thinking about a gift and creating a gift. Also, encouraging them to make gifts rather than always buying them so they can leave a lasting impression on whomever they give their special gift to! What are you getting for Dad for Father’s Day?